Virtium' StorFly-ICS Intelligent External Drive: What is it and What Can it Do? » HHP Associates, Inc.
Virtium’ StorFly-ICS Intelligent External Drive: What is it and What Can it Do? 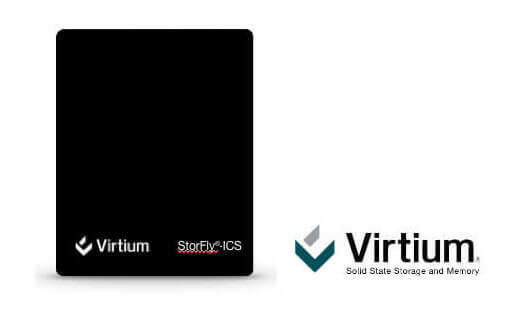 11 May Virtium’ StorFly-ICS Intelligent External Drive: What is it and What Can it Do? Do you need to add local storage and data processing capabilities (filtering, analyzing, de-duplication, optimizing and secured local storage) in a most efficient way to your systems/machines/PLC/network, etc.? Virtium’s new release product is very simple to understand, it requires no in-depth training. Most external drives are “dumb;” they are slave drives and are used to store data and that’s it. They are not meant to run software, manage, or process data. Virtium StorFly IES is an intelligent external drive, meaning that it has a brain (microcontroller inside) with resident software to process and manage data for industrial and IoT uses. It is designed to be connected to any industrial systems/machines/PLC/network that need external storage that otherwise not available to it. It can be configured using Virtium’s software or using industry software that customers currently use. Good applications for this product are usually related to the medical, packaging, food, energy and automotive industries – If you are logging data from RFID tags, this may help where there may be a need for an on-site or local edge storage solution to augment a gateway &/or PLC. We are honored to serve as a manufacturer’s rep for Virtium.